Aude is a département in south-central France, which makes up one fifth of the Languedoc province. Located between the Mediterranean and the Pyrenees, this area is one of attractive, ever-changing landscapes. It has so much to offer and would be a fantastic location for a property. In fact, it is easy to see why Aude property is so highly sought after. Each area of Aude has its own particular, interesting and unique natural landscape. With an Aude property to the East of the region, you will have beautiful lagoons and coastal lakes on your doorstep. Providing a beautiful natural barrier between land and sea, this area is home to pink flamingos and white stilts, which can be found wading and foraging for food. Further inland, this Eastern part of Aude changes dramatically to shrub and scrub land, with equally rich flora and fauna. Your Aude property could be located here, adjacent to beech groves, fir plantations, forests and mountains. 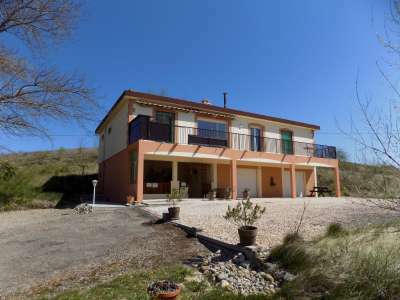 Alternatively, how about an Aude property in ‘Black Mountain Country’? Here, in the north and west of Aude there is a largely wooded landscape, where forests of oak, beech, poplar and ash abound, and there are rare peat lands. The Corbières area in central Aude, is a stunning mixture of dissected plateaux, steep hills, hidden valleys, woodland and vineyards. One of the most famous places in Aude is Carcassonne, home to the famous medieval walled city (La Cité), which dates back as far as the fifth century. The fortress here is a UNESCO world heritage site, and is spectacularly dramatic. A day trip from your Aude property is recommended! At Narbonne, you can view a series of first century Roman remains, including underground tunnels and Roman storage rooms. There is a rich history here, and there are many castles and fortresses to be found dotted around the countryside, often on dramatic rocky peaks. Good examples are those at Quéribus and Lastours, which are absolutely breath-taking. Aude has strong religious traditions, and is often referred to as ‘Cathar Country’, after the religious movement which flourished here in the 12th and 13th centuries. There are many abbeys, including Sainte-Hilaire, Sainte-Marie Lagrasse and Fontfroide. Fontfroide , a former Cisterian monastery, is now a working farm, bookstore and restaurant, and producer of wine of AOC Corbières quality. In fact, this region is home to some fine wines, and Vineyards can be seen throughout the region. The chances are you’ll be able to see one from your Aude property! Viticulture is the main economic activity of Aude. The East is home to Corbières and la Clape; in the centre Minervois and Côtes de Malpeyre wines are made. In the south, Blanquette de Limoux is produced. This sparkling white wine is said to have been the forerunner of champagne and is very popular in the département. If you are more of a fan of liqueur, then local Cartagène may take your fancy. It is most pleasant with foie gras and Roquefort. 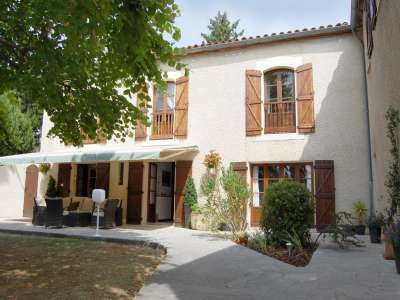 For gourmet-lovers an Aude property has much to offer. There is even a festival dedicated to food! “Toques et Clochers” takes place over the weekend of Palm Sunday celebrates the gastronomy of the area around Limoux. Local delicacies include fricassee of pork and cassoulet (white beans and sausage). In the area around the coast, make sure you sample borrida d’anguilles (eel stew), which is delicious! Gruissan and Leucate are famous for oysters and local olive oil can be found at markets. Incidentally, when you’re in Carcassonne, make sure you stop by the market in Place Carnot, which is held on Tuesdays, Thursdays and Fridays. You are bound to find something just wonderful to cook in your new Aude property. After all, what is better than local, fresh produce? The climate varies across Aude. If you have an Aude property in the East, the weather there is typically Mediterranean. In the mountainous areas of the north and south of Aude, the climate is slightly cooler, with some quite low temperatures in winter. In the west there is slightly more precipitation. 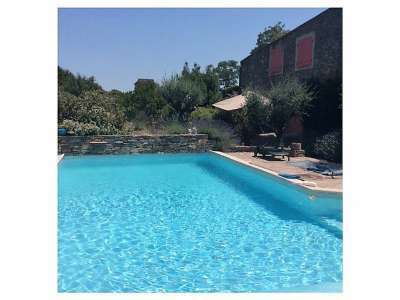 This striking rural region is certainly unique, and as you can see we have a beautiful selection of exclusive Aude property for your perusal. We are sure you’ll find something just perfect for you. Time to crack open the Blanquette de Limoux?